Sam is a priceless Dachshund, bred as a show dog. More importantly, he is Heidy’s best friend – and she needs one like never before. Living with her reclusive uncle is hard, but Sam has a way of making her feel soft and whole. Until the day Sam is framed by the jealous poodle Cassius, and cast out by Heidy’s uncle onto the wild streets. Roughed up by the cruel world, Sam finds himself with a soup ladle in place of a leg, and other strays for friends. 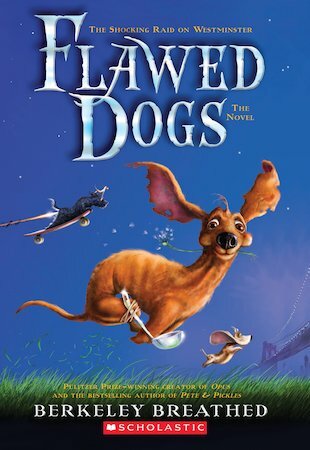 But when he travels to the Westminster Dog Show, meaing to take revenge on Cassius, his plan takes an unexpected turn when he and Heidy spot each other after years apart… Pulitzer Prize-winner Berkeley Breathed’s first illustrated novel is a heartwarming and funny ode to the lasting love that pets and their owners share.